An enchanting addition to your wedding breakfast or cocktail party, LeLounge Acoustic Duo's chilled acoustic arrangements of popular songs ranging from swing, bossa, country and folk to indie, soul, motown, rock and contemporary hits will charm and entertain your guests. 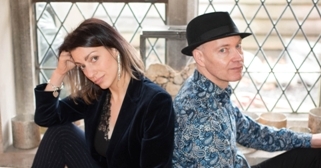 Fantastic singer Laura effortlessly interacts with any audience combining perfectly with Dave's meticulous guitar arrangements and backing vocals. Their extensive repertoire allows them to adapt on the fly from subtle background music to audience participation sing alongs and dancing. Clients can even choose their favourite songs in advance from the repertoire or select a new song (e.g. first dance) for performance on the day at no extra charge. Dave and Laura first began performing together in 2010 and now have hundreds of previous weddings, functions, birthdays, restaurants and bars experience.